A robber who was jailed after he posed as a window cleaner to con cash from the elderly has had a year added to his sentence after another victim was linked to him. James Nanson was jailed for four years and eight months after he left an 81-year-old woman bruised when he "pushed and shoved her" during a robbery at her home in Sunderland last March. The 28-year-old has now been back at Newcastle Crown Court where he was given an extra 12 months on top of the current sentence, in relation to a raid at the home of another victim, also in her 80s, in the city a month earlier. Mr recorder Euan Duff told Nanson, who admitted burglary: "On the last occasion I dealt with you for an extremely serious offence of robbery. 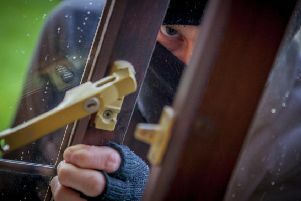 "Unbeknown to anyone in court, apart from yourself, you had also committed, prior to that robbery, an extremely serious offence of house burglary. "The pattern of behaviour was similar to that in the robbery and in your previous offending, you were pretending to be a window cleaner and gained entry to the house. "You knew it was an elderly woman and targeted her because of that, because of the home she was in, which was one of a number occupied by folk of similar age." The court heard the victim suffered "psychological harm" when she realised Nanson was a conman. Nanson, of Grafton Street, Sunderland, has served a previous prison sentence for conning cash from the elderly for windows he had not cleaned. Jamie Adams, defending, said Nanson has been "engaging well" with the authorities in prison, is trying to improve his mental health, has taken a victim awareness course and is hoping to gain educational qualifications. Mr Adams said Nanson is now drug free and has good family support. Mr Adams said: "He is not the risk he was, because of the chastening effect of custody."